Choosing dental insurance is a complicated, yet important choice for you and your family. Does the plan allow you to choose your own dentist, or are members restricted to a network of dentists selected by the insurance company? If you are restricted to specifically in-network dentists, is your dentist on this panel? Who controls treatment decisions? You and your dentist or the dental plan? 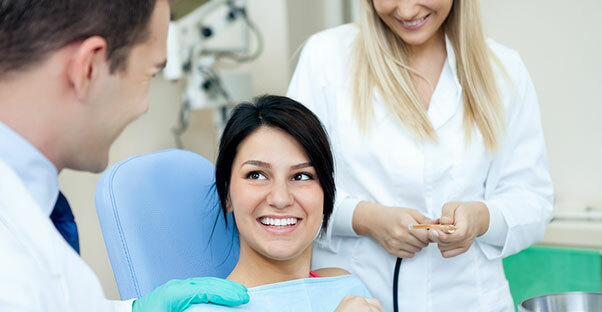 Some plans may require dentists to choose the least expensive treatment approach. What kinds of routine treatment is covered by the plan? What share of the costs will be yours? Are they different for varying procedures? What are the limits of the plans? Are there only a certain number of times that a procedure will be covered or are there exclusions or denials for certain procedures? Will the plan allow for referrals or dental specialists? Are you able to choose the specialist or is there a certain network from which to choose? Unfortunately, your dentist cannot answer specific questions regarding your dental insurance plan or estimate the level of coverage for a particular procedure. If you have questions about coverage, contact your employee benefits department, your dental insurance plan, or the third-party payer of your health plan.